(WASHINGTON, D.C.) Jan. 4, 2017 -- The National Association of Black Journalists (NABJ) took part in a conversation with the Trump transition team and about two dozen other black organizations in Washington, D.C. on Wednesday. NABJ stressed the importance of press access to the new administration and the need for black journalists to be a part of that coverage. 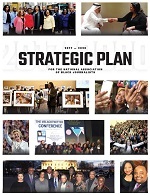 NABJ also talked about the need for an accurate and complete portrayal of all of black America, not just stories involving crime, poverty and violence. 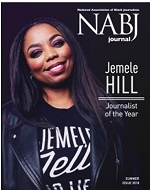 "Black journalists have covered the White House in the press pool since President Franklin D. Roosevelt and it's important that NABJ continues a dialogue with the next president and administration," said Sarah Glover, NABJ President. Executive Consultant Drew Berry presented to the group and former NABJ President Bryan Monroe was also in attendance at the off-the-record meeting. Berry stressed the importance of diversifying newsrooms and voiced concerns about threats of libel lawsuits and the effect they could have on journalists.